When we started up the Cross The World woodshop in 2011, our goal was to make and distribute crosses to 340,000 people (at that time, 340,000 represented the daily worldwide birthrate). We hoped (and continue to hope) that our efforts would introduce or reunite 1% of the 340,000 to God, so they could know His love, feel His presence and come to believe in Him. And, because of you, the wonderful disciples of our CTW family, 2016 has been a monumental year for us; two terrific events happened. Over 35,000 of these compact little crosses were given away and, more amazing, the number of crosses distributed since we began reached 170,000! Hallelujah … we’re halfway to our goal!!! We are very excited to see how God has blessed our family members and the recipients of the cross. While we have a record of where our crosses have been sent or delivered, we will never know just how many miles they will ultimately travel in their life. We know our crosses were recently sent to Argentina and Malawi, Africa and that they will be traveling to Burma next month but, again, we can only imagine how many miles their journey will see. I wondered how many miles we could come up with given the information we did have. So, I started calculating the mileage these crosses would accumulate enmass as they begin their journey here in our woodshop. To date, we’ve created 170,000 crosses, each one being born from a 6.5” piece of wood. Calculating (and if my math is wrong, don’t flog me as I am NOT a mathematician AND I will gladly accept the correct calculations! ), these 170,000 crosses equal an impressive distance of 17.5 miles. And, that’s before they’re shipped to you to begin the second chapter of their incredible life … WOW! Since 2011, we have shared awesome testimonials about the impact these pocket crosses have had on people’s lives; all of us at Cross The World are so blessed to play such a teeny tiny role in God’s big plan. 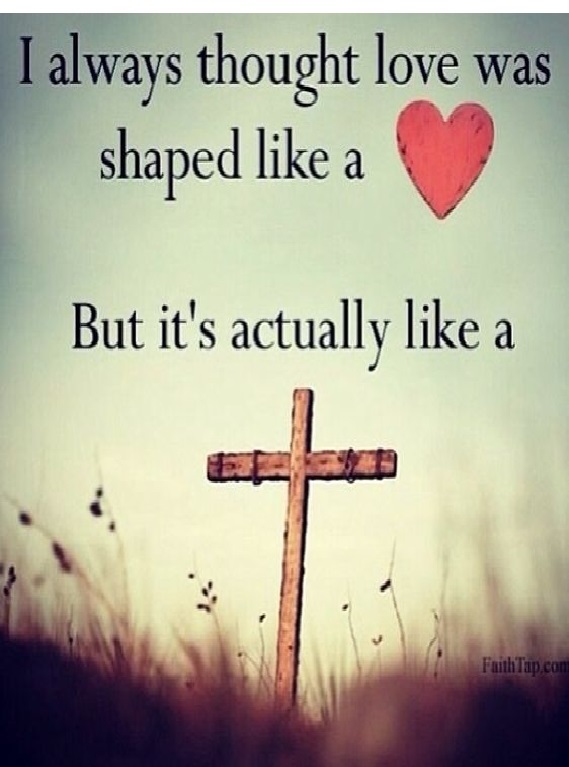 We know our crosses have traveled many, many miles in their search to comfort hurting souls. As Ernie and I drive to our neighboring town (which is almost exactly 17.5 miles from our house), I imagine a line of our little wooden crosses, laying end to end like Christian soldiers, along the side of the road, waiting to be picked up and placed in the eager hands of people hungry for God’s love. We encourage you to imagine the crosses lining the shoulder of the road you’re traveling on … and, although shorter, to think about the distance Jesus struggled to carry His cross to Golgotha, His last act of love for us and how hungry we are for Him. Both images will be a humbling experience. Recently, Immanuel Lutheran Church in neighboring Crosby requested some crosses to be taken on a mission trip to Malawi, Africa. This church has supported the Malawi Orphan Care Project, which is an organization that helps to support the Kanyenyeva Orphan Care Ministry of Malawi, for many years. This ministry currently helps to feed over 300 orphans in 19 villages, orphans due to losing one or both parents usually to AIDS or malaria. Immanuel Lutheran Church has answered the call for support by hosting fundraisers, silent auctions, etc. every year. This summer, in one fundraiser, they were able to raise $35,000 through their efforts. What a blessing to give to the orphans at the Care Ministry and what a dedication to serving our Lord! For more information about Malawi Orphan Care Project, please visit www.malawiorphancareproject.org. We thank you for your service to our Lord! This Christmas may you experience the simplicity, peace and genuine joy only Christ brings. Merry Christmas from all of us at Cross The World.